Ken E. Gause at HRNK in October 2015. Ken E. Gause is the director of the International Affairs Group at CNA, a nonprofit research and analysis organization located in Alexandria, VA. He also oversees the Foreign Leadership Studies Program. For the past two decades, his area of particular focus has been the leaderships of countries including North Korea, China, Iran, Syria, and Russia. Mr. Gause’s work in this area dates back to the early 1980s with his work on the Soviet Union for the U.S. government. 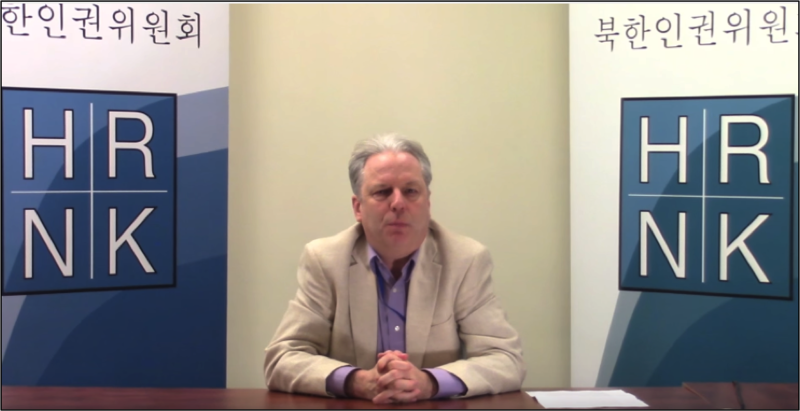 Mr. Gause has published widely on the North Korean leadership. In 2006, the Army War College’s Strategic Studies Institute published his book, North Korean Civil-Military Trends: Military-First Politics to a Point. He is also the author of HRNK’s Coercion, Control, Surveillance, and Punishment: An Examination of the North Korean Police State (2013) and North Korea Under Kim Chong-il: Power, Politics, and Prospects for Change, which was published by Praeger in 2011. His recent research interests include North Korean succession politics, the North Korean police state, and North Korean civil-military relations. 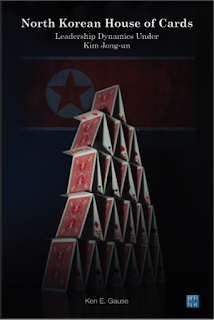 On October 8, 2015, HRNK’s Director of Programs Rosa Park sat down with author Ken E. Gause to discuss his upcoming book for HRNK, North Korean House of Cards: Leadership Dynamics Under Kim Jong-un. Rosa Park: For someone who is reading about North Korea for the first time, your book on leadership changes could be an overwhelming amount of information. How would you summarize your findings for someone who is new to the North Korean leadership? Ken Gause: My book was written not just for the general audience, but also for the specialized audience that knows quite a bit about the North Korean leadership. As far as how the book should be used, in order to understand North Korea, you really need to begin with an understanding of who the people at the top are, not just the Supreme Leader, but those people around him. And unless you have that understanding, you could very well misunderstand things that North Korea does. RP: Why do you believe it is important to keep track of each advisor to Kim Jong-un as well as the wider leadership? KG: Again, in terms of understanding the leadership, while Kim Jong-un, as the Suryong or the Supreme Leader, is no doubt the ultimate authority in the regime, in order to understand his worldview, you really need to understand that there are people around him who may provide advice and have some influence on him. To look at the regime as just being one person is really to simplify the regime. It is a much more complex relationship between a variety of individuals from the military, the party, and the economy or the cabinet and government apparatus. Unless you understand the dynamics between those individuals and the relationships they have with the Supreme Leader, you cannot really understand the Supreme Leader, his worldview, or how decision-making is done inside North Korea. North Korea’s leadership extends far beyond just Kim Jong-un. RP: The UN Commission of Inquiry has found that crimes against humanity have been and are being committed in North Korea pursuant to policies established at the highest level of the state. One of the Commission’s recommendations was that the UN Security Council refer the North Korean case to the International Criminal Court. In his most recent report, UN Special Rapporteur Darusman focused on accountability. 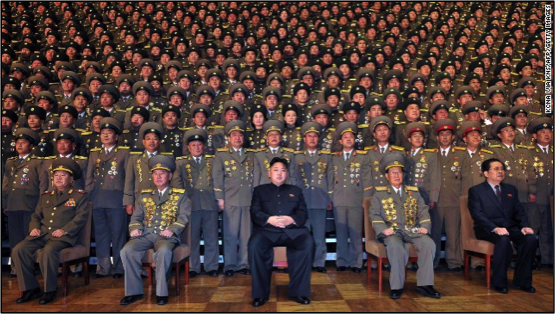 However, only a few human rights experts and organizations understand North Korea’s leadership structure and dynamics. How helpful is your work going to be in identifying the chain of command and individuals responsible for crimes against humanity in North Korea? KG: In order to understand the crimes against humanity in their totality, you need to understand the relationship between the people at the very top all the way down to the people that are perpetuating a lot of the crimes on the ground. This book really outlines a lot of the people at the very top of the regime. It definitely helps us understand the motivations behind some of these crimes against humanity, but a lot more research and analysis still needs to be done in order to make the full connections between the top of the regime and things that are taking place on the ground. RP: There has been a large number of purges under Kim Jong-un during his leadership transition. 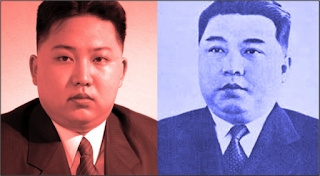 Kim Jong-un’s purges have been more intense compared to his father’s first four years as leader of North Korea, possibly on a par with the extent and intensity of Kim Il-sung’s purges of the 1950s. Does this tell us something about Kim Jong-un and the character of his leadership? Or, rather, is this happening just because he barely had three years to prepare, while his father had twenty? In other words, are the purges so brutal and intense because he didn’t really have a power base in early 2012, and he has been desperately scrambling to build one? KG: What it tells us is more about the environment in which Kim Jong-un is operating than Kim Jong-un himself. I mean yes, Kim Jong-un has proven himself to be a leader who acts in bold strokes and acts very quickly against any people he may perceive as being threats to his regime. He is also involved in a power consolidation process. During power consolidation inside North Korea, especially with someone who has only been in power for a few years, the purges can be frequent and brutal. People can be made an example of as opposed to just being taken out because they are perceived to be threats. Therefore, I think that this tells us more about the environment in which Kim Jong-un is operating than his personality itself. RP: Unlike his father, Kim Jong-un regularly gives speeches and does not shy away from the public eye. Do you believe his style and public persona have a significant impact on recent leadership dynamics? KG: He definitely has a different leadership style than his father, Kim Jong-il. Whether it has an impact on leadership dynamics is unclear. It is definitely true that as part of the power consolidation process, Kim Jong-un has had to go back to the wellspring of legitimacy inside the regime, and that is Kim Il-Sung himself, so he is patterning a lot of his public persona after his grandfather. This is unlike Kim Jong-il, who he really reached back through the maternal line of his mother in order to establish legitimacy within the regime. Kim Jong-un is reaching back to Kim Il-sung, and therefore is patterning his mannerisms and speeches after his grandfather to elicit from the North Korean population a feeling of nostalgia for better times. Therefore, I think that an important thing to understand about Kim Jong-un’s leadership style and persona is that it is tied in with the power consolidation process. 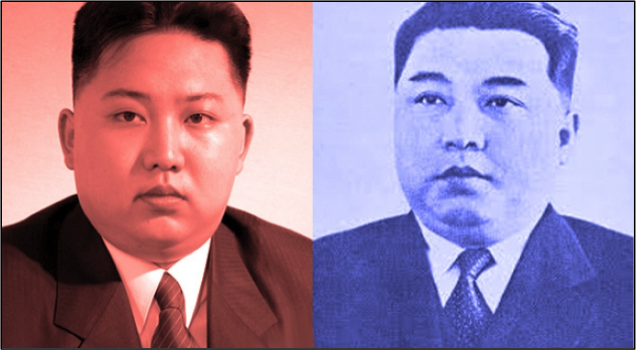 Resemblance between Kim Jong-un and his grandfather Kim Il-sung. RP: Do you have recommendations regarding U.S. policy towards North Korea? If so, are such recommendations based on the changes in Kim Jong-un’s leadership? KG: Yes, there are recommendations that can be made for U.S. policy. In my opinion, the policy of benign neglect or strategic patience is not working. I believe that we have to engage North Korea. Even though it is a bitter pill to swallow for us to engage with a country that commits human rights violations and is not playing by the rules of the international community, I think through engagement we can have a much larger effect on North Korea than if we ignore them or place increasing sanctions on them. If what we want to achieve is some sort of soft landing inside of North Korea where you can have a peaceful reunification on the Korean peninsula, you have to think about things that will entice the regime to engage the international community, and hopefully over time it will begin to transform itself into more of a normal nation and one that plays by the rules. RP: Are there any trends you anticipate in the leadership under Kim Jong-un in the next five years? Ten years? KG: Kim Jong-un is having a lot of difficulty in consolidating his power. The primary reason that he has not been able to consolidate his power up to this point is that he has not been able to show definite progress on the North Korean economy. This means engaging the outside world in order to secure international aid. If Kim Jong-un is not able to consolidate power within the next two to five years, many “Pyongyang watchers” believe there will begin a transformation inside the North Korean leadership in which his ability to dictate from on high will become more and more marginalized. Whether this means that he becomes a puppet or more of a consensus builder is not entirely clear. But I think the two to five year period is going to be a very important time in terms of North Korean politics. As for the further out we go, five to ten years, it is just too hazy right now to tell. A lot of it depends on the two to five year time frame. 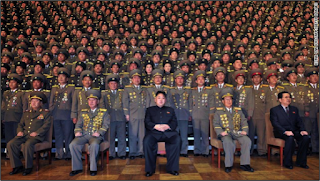 RP: What do you think Kim Jong-un’s criteria are for purges versus demotions? Is there any consistency? How does he make these decisions? KG: Kim Jong-un’s decisions with regard to demotions are probably tied to policy. We have seen very many military figures that have been demoted and then re-promoted. We have seen some Party and government figures being demoted and some being re-promoted. This is probably tied to the fact that they did not execute policy in the way Kim Jong-un wanted. Purges, on the other hand, are directly tied to the consolidation process. Obviously, the most severe purge was done against Jang Song-taek, in which we know for a fact that he was executed, and this was because, I believe, he was becoming a threat within the regime, capable of creating a second center of power. We have seen other people, like most recently Minister of People’s Armed Forces, Hyon Yong-chol, being purged and presumably executed. That was probably done in order to rephrase the leadership and stop power struggles that are happening at the second and third echelons. So, the purges are a much more complex decision-making process that are definitely tied to Kim Jong-un’s ability to consolidate his power. RP: The North Korean leadership is extremely complex and there is not exactly a wealth of reliable sources. 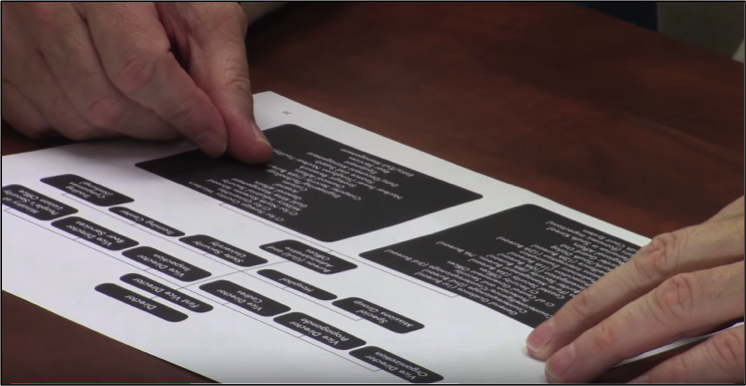 What is your methodology for determining the leadership structure? Where do you find your most reliable sources? 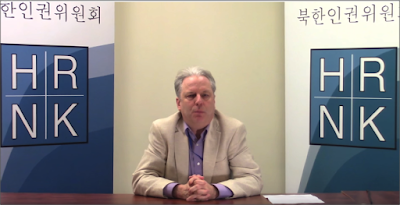 Ken E. Gause discussing his charts on North Korea's leaders. KG: In order to understand the North Korean leadership, it takes years, if not decades, of studying this regime in order to understand the dynamics that occur among the various leaders and leadership groupings and how the Supreme Leader makes decisions. It is critical to understand that it is a regime that is based on personalities. It is a regime that is based on relationships. And so the way that I have dealt with it and the way that my methodology works, is that I have developed a model based on decades of looking at the leadership. When I see things happen, I then try to understand the motivation behind those actions, and I have tweaked my model over the years. I believe that if you just try to pay attention to the actions of the moment, about the person being purged or demoted or whatever, it tells you very little in the larger context of how North Korean leadership dynamics operate. Therefore, you have to look at a variety of different sources. I have sources inside the regime, and I have very high-level defectors that I have talked to. I have talked to numerous high-level defectors over the years. I have talked to most regional experts on the North Korean regime and leadership, as opposed to just Northeast Asia or Korean scholars. And I have also delved through what North Korea says about itself through its own media and things. And if you take all of these various sources and begin to put them together and look at them over time, internal logic to a model begins to evolve and then you begin to build your model around that logic. RP: Based on your assessment of recent leadership dynamics, how stable is the regime of Kim Jong-un? KG: The North Korean regime right now, in my opinion, is fairly stable. Especially since the purge of Hyon Yong-chol at the end of April, it seems as if the dynamics within the regime have calmed down somewhat. I believe that at least for the near term, for the next two to five years, the regime will be stable, but if Kim Jong-un is not able to show progress on the economy, those dynamics could shift and the elements of instability could begin to creep into the regime. RP: There has recently been more press coverage of the women in the North Korean leadership, including Kim Yo-jong. How important do you find Kim Sul-song’s role in the leadership, even as a woman in North Korea’s patriarchal society? Ri Sol-ju, Kim Jong-un’s wife, also appears quite frequently in public. How do you see her role, when compared to that of wives and concubines of the two previous Kims? KG: This is related to the earlier question about Kim Jong-un’s leadership style and how he is portrayed and his public persona. If you go back to the period of Kim Il-sung, the roles of the women around him were quite prominent. Women have always played prominent roles behind the scenes inside North Korea. In Kim Il-sung’s period, there was his first wife and then his second wife. For Kim Jong-Il, especially prominent was his wife Ko Yong-hui, the mother of Kim Jong-un, and also, I must say, under Kim Jong-il, his sister Kim Kyong-hui, played a major role. And under Kim Jong-un, we see several women who have begun to play a prominent role—family members—the most prominent being Kim Yo-jong, his younger sister. The women, I think, play a very important advisory role behind the scenes. These are people who are very close to him personally, and I think that these personal relationships carry a lot of weight. For example, if we go back to the Kim Jong-il period, probably one of the primary reasons why North Korea decided to open up its negotiations and seek a summit with Japan in the early 2000s was largely driven by Ko Yong-hui and her relationship and family ties back to Japan. This was something that the regime had even advised Kim Jong-il not to do. Today, we see Kim Yo-jong, who has been put in place to replace her aunt, Kim Kyong-hui, as the primary advisor behind the Supreme Leader. A lot of the ways that she has been portrayed in the media are reminiscent of the mid-1990s when Kim Jong-il came to power and of how Kim Kyong-hui was portrayed in the media. As far as Kim Sul-song, she is definitely not of the same mother and lineage as Kim Yo-jong and Kim Jong-un, but I believe that she, as somebody who was very close to her aunt, Kim Kyong-hui, and probably her father, was one of Kim Jong-il’s favorite offspring. As a person that’s been around North Korean politics for decades, I think she probably plays a critical advisory role behind the scenes. As far as Ri Sol-ju is concerned, I believe that she plays maybe an advisory role. She tends to be brought out in public in periods of time when the regime has reestablished stability or is very stable. She disappears in times when there is particular stress within the regime, so she is somebody that we can watch to try to get a sense about internal dynamics and the stability of those dynamics inside the regime. But altogether, I believe that these women are people who are going to play increasingly important roles under Kim Jong-un, whether they are on the center stage or whether they are behind the curtain. Left to right: Kim Yo-jong, Kim Sul-song, and Ri Sol-ju. 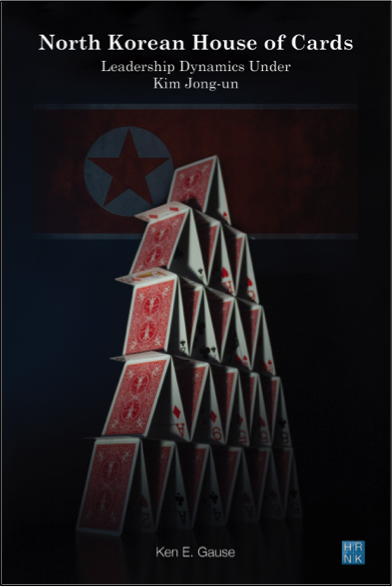 HRNK invites you to attend its launch of Mr. Gause’s book, North Korean House of Cards: Leadership Dynamics Under Kim Jong-un, on Friday, October 30, 2015 at 9:30am at the National Press Club. More information is available at this link. Please RSVP to rosapark@hrnk.org by Wednesday, October 28, 2015.